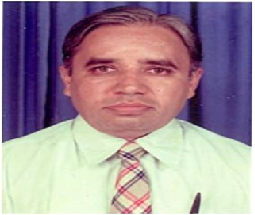 Dr. Vishwanatha K.V. has completed B.E. in Electrical Communication Engineering and M.E. degree in Electronics from Indian Institute of Science, Bangalore. He also possesses a Ph.D. in Electronics from IISc. Bangalore. He has more than two decades of teaching experience and has guided several students. He has over thirty publications to his credit. His research inerests are Alagorithms, Pogramming Languages, Network Security, Computer Graphics and Operating System.